The US has spent hundreds of millions of taxpayer dollars to support public health facilities in Afghanistan, but the agency charged with keeping track of them has no idea where many of them are — or if they are even operational. According to the provided GPS coordinates, one of them was even located in the Mediterranean Sea. As a result, the people monitoring these structures cannot always find them. Of the 50 facilities the team of the Special Inspector General for Afghanistan Reconstruction (SIGAR) was supposed to review, 20 could not be found. Those that were inspected had significant defects. 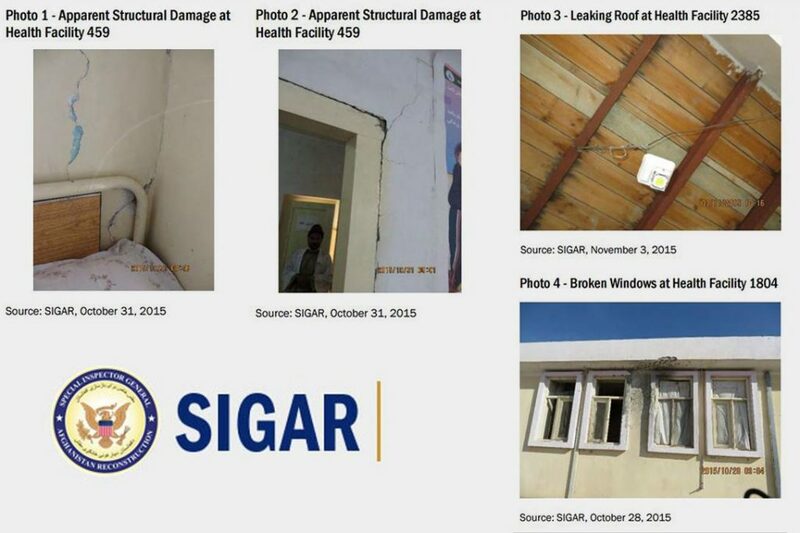 SIGAR found gross errors and poor conditions when they had a look for themselves. Many facilities do not have electricity or running water, some have exposed wiring and crumbling walls. Since its creation in 2008, SIGAR has consistently identified incompetence, misconduct and fraud — like the non-halal (and thus unusable for Muslims) slaughterhouse to the tune of $12 million, and a $43 million dollar gas station. 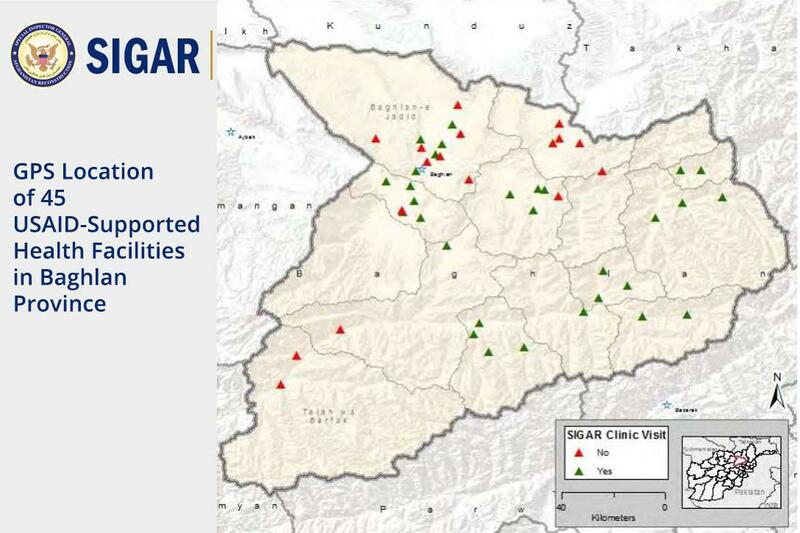 SIGAR released its latest findings on 50 of these health facilities in the country’s Baghlan province, detailing their operability and the accuracy of GPS coordinates provided by the US Agency for International Development (USAID). The faults found in the report were so severe and numerous that it appears as though USAID does not care about making sure the millions spent on these health facilities are being put to good use. Thirteen facilities were anywhere from one to more than 10 kilometers (i.e. between half a mile and six miles) off from USAID’s coordinates. In addition to the one facility that was placed in the Mediterranean, USAID put five other health facilities in the wrong districts. Bad coordinates and safety issues prevented SIGAR site inspectors from traveling to all 50 health facilities, so they settled with a still poorly mapped 30, talking with locals and using their general knowledge of the area to find them. Once at the sites, they found that nine facilities had no electricity, six had no running water, and some did not have the power necessary to light and refrigerate pharmaceuticals and vaccines. The health facilities were structurally sound, though cracked walls, leaking roofs, broken windows, and exposed wiring suggested potential hazards. It appears that all 30 health facilities were open and at least somewhat operational. While they are not up to US standards, the local population seemed to strongly appreciate them. Out of 29 Afghan citizens questioned about the facilities, only one claimed theirs was not useful due to irregular hours. All of the other respondents deemed the facilities either “very” or “somewhat” useful (save a lone Afghan who had no opinion). The problems SIGAR identified are partly caused by the 2015 handoff of the ongoing facility data gathering from USAID to the World Bank and its System Enhancement for Health Action in Transition (SEHAT). 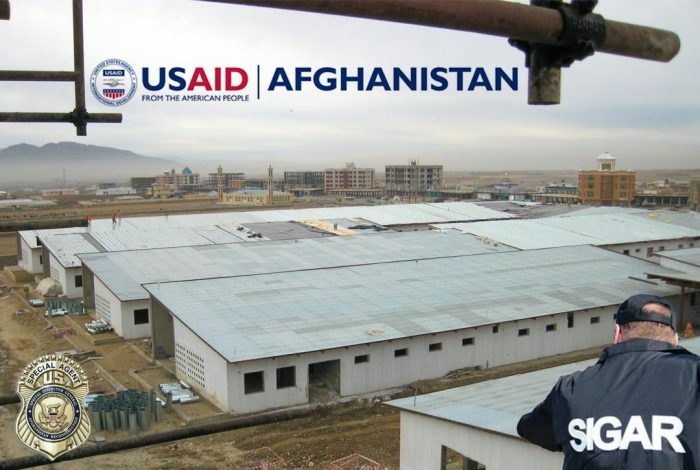 USAID had been working directly with the Afghan Ministry of Public Health (MoPH) to keep tabs on the health facilities, but wanted to move into donating money and have someone else do the work. SIGAR has been biting the heels of USAID since 2014 to improve its oversight. USAID responded in 2015 by saying “the lack of precise geospatial data in most cases does not interfere with our ability to effectively monitor PCH [Partnership Contracts for Health, SEHAT’s old name before USAID traded off operations to the World Bank].” They tried to prove this by sending SIGAR files for the 50 health facilities, which contained one to two photos displaying the supposed signage and the facility, and no geospatial data. The USAID mission director for Afghanistan himself signed a letter saying that under SEHAT, USAID will still perform field visits and collect data. A hard thing to do if you have no idea where the health facilities are. Perhaps in the Mediterranean. So both USAID and the World Bank are disinclined to make sure that these health facilities are where they are, or if they are even open for business. “SIGAR maintains that, given USAID’s intention to contribute approximately $228 million to the World Bank’s SEHAT program, USAID should take steps to ensure that its funds are used as intended,” according to the report. Considering the amount of dollars invested in these health facilities, it’s baffling how they could be operating so poorly and with little to no oversight. It is further evidence that the US has still not figured out how to effectively spend taxpayer funds in the 15 years since the invasion. Related front page panorama photo credit: Adapted by WhoWhatWhy from map (USAID) and agency logos.